Several national carriers such as Verizon, Sprint, AT&T, T-mobile all provide customers with international calling from the USA. The only problem is that the international calling rates they offer are too expensive. For most immigrants in the Unites States, the primary mode of communicating with family back home is via phone calls. As a result, most consumers are in a constant search for cheaper alternatives. There are two popular alternatives that are cheaper than the traditional phone companies. These are Calling Cards and Mobile Apps. Both alternatives are cheaper for making international calls from America and make use of VOIP to connect calls. Calling Cards offer the consumer a local access number through which the international calls are routed. 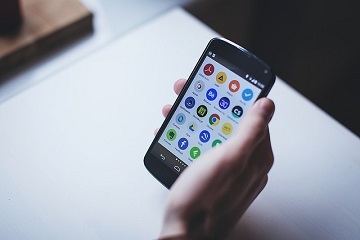 The Mobile Apps on the other hand offer both the local access number option as well as direct calls through the internet. Mobile VOIP Apps save consumers between 50 to 80% on their traditional phone bills and are considered the best choice for making international calls from the USA. There are several popular mobile voip apps that offer great rates. These include Otubio, Rebtel, and Boss Revolution.